Today's casual diners prefer a meal that also provides convenience and experience. As a kid growing up in the ’80s, I was no stranger to the family-friendly casual dining establishment. Both my parents worked, and they rarely felt like cooking after a long, hard day. We often found ourselves in a booth at our local Chi-Chi’s, digging into salty nachos and bland salsa. As I became independent and found myself working long days, the sit-down chain restaurant was, again, the place to go. By this time, there were many more choices. Looking back, I don’t recall walking away from any of these restaurants thinking, “Wow! What a fantastic meal.” I was certainly full and satisfied, but it was about spending quality time with family and friends. Today, I still enjoy dining out. However, as a bona fide, wannabe food snob, I rarely visit my old stomping grounds—and I’m not alone in my casual dining departure. People are still going out to eat—in fact, dining out is on the rise—but casual dining is on the decline. With a little change or innovation, would we go back to our old favorites, though? Millennials are everyone’s favorite scapegoat, but they’re also the focus of every marketer’s desire. The generation who grew up watching Food Network apparently can’t appreciate never-ending breadsticks. They want convenience: speedy and easy food that can be ordered with a swipe and delivered in under 30 minutes. They want experience—especially, the unforgettable and adventurous kind. Nothing says dining out like dramatic presentations, tasting menus, farm-to-table food and small-batch alcohol that they can share communally and socially (#foodie, #foodporn, #foodgasm, #nomnom, etc.). Fast food restaurants are really stepping up their game, offering convenient food service with mobile ordering and delivery options. And fast casual, a mix between fast food and casual dining, is currently sweeping the food industry. Speaking of mobile, you’ve got food trucks delivering unique and dynamic menus, which offer diners a chance to try new flavors without committing to a sit-down venue. And don’t forget about food halls, the sprawling markets that offer affordable food options with an artisanal blend that appeal to the millennial desire for experience. Then there is the traditional fine dining category for the special nights out. And finally, we must consider convenience stores like Wawa and Sheetz. Millennials are also staying in and eating more at home, trying out the latest meal kit craze that provides people the opportunity to feel culinary but with half the effort. Our favorite dining establishments of the past need to start understanding and catering to the entire customer experience. So, how can casual dining keep from being phased out? Digital is the key. This presents a huge opportunity for agencies and brand marketers with a deep understanding of user experience and data. A necessary yet risky move is casual dining’s shift to delivery. As the value of speed and convenience continues to grow for almost everyone, we’re seeing restaurants focus more and more on off-premise dining. The challenge of transporting the food, ensuring quality is not compromised and matching the dine-in experience. Meeting delivery time expectations. It takes about eight minutes to prep and cook a well-done steak, leaving barely 22 minutes to order, plate and deliver. Alcohol sales account for roughly 30 percent of restaurant revenue. With the rise of the delivery model, restaurants will need to reset their financial expectations to account for the loss in alcohol ordering. People value their time, and with so many dining options, waiting is not one of them. Online reservations are not unusual at fine dining restaurants, and casual dining is finally beginning to catch on by offering online wait times and “Join the Waitlist” options. Bloomin’ understands, and all of their brands offer either online reservations or waitlist signup. Leveraging an on-premise digital experience is by far the most strategic tactic and demonstrates a real understanding of customer needs. Red Robin, Chili’s and Buffalo Wild Wings are seeing success by offering the ability to order using a tableside tablet, pay the check and provide real-time feedback, ultimately giving the customer control over their experience. To compete with the changing tastes of diners in a saturated market, the casual dining category requires true transformation and innovation grounded by a digital strategic framework, focusing on the dining customer journey. 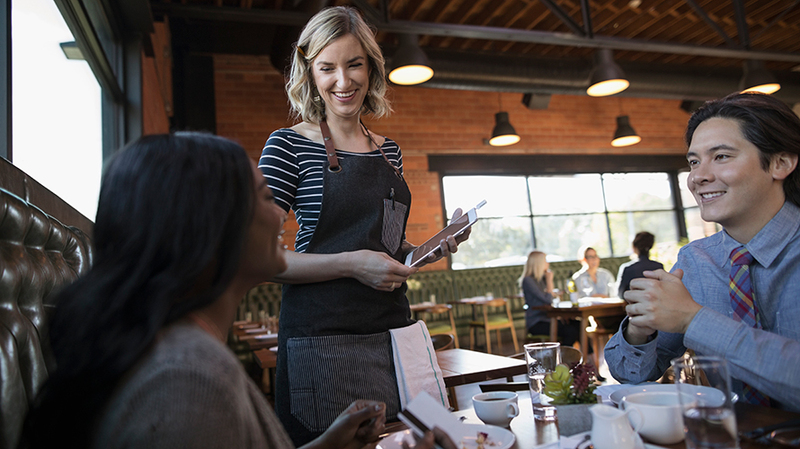 Our favorite dining establishments of the past need to start understanding and catering to the entire customer experience, starting with the decision to dine out until the time the customer exits the restaurant—and they can’t forget the time in between. 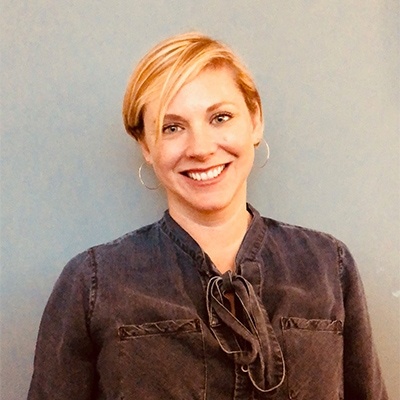 Jennifer Zimnowski is vp of Isobar.